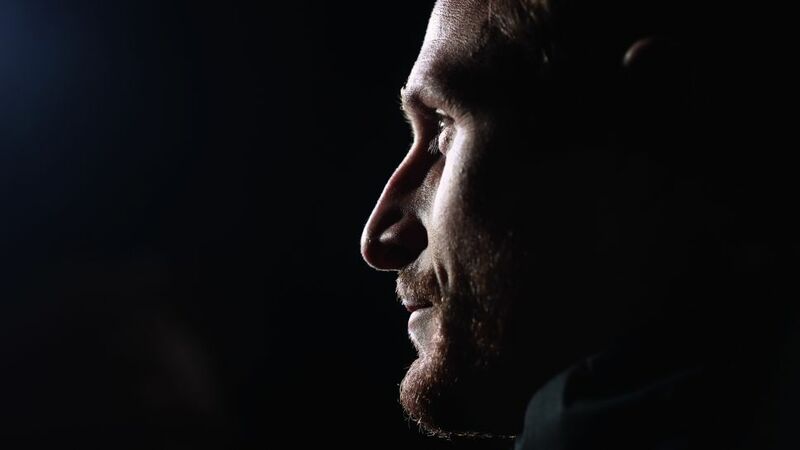 Nobody embodies what FC Schalke 04 stand for as a club more so than Benedikt Höwedes. The centre-back has been part of the Royal Blues' first team set up for nearly a decade and was made club captain back in 2011 by the man at the helm of of their opponents this weekend: Ralf Rangnick. Talking exclusively to bundesliga.com ahead of Saturday's showdown with RB Leipzig, the World Cup winner discussed his relationship with Schalke, how football has changed and what he has made of the surprise league leaders. bundesliga.com: Benedikt Höwedes, following five straight defeats at the start of the season, Schalke are now unbeaten in their last 12 games in all competitions. Is there a rational explanation for why a team can struggle one day and appear unbeatable the next? Benedikt Höwedes: There is no purely rational reason behind it. Football has a lot to do with being self confident. If that's not the case then things don't go the way they normally do. If you're then lacking that little bit of luck you need, it can be very difficult. Conversely, confidence can help greatly when trying to cope with a difficult situation in a game. And then every now and again you hit a run of form where everything just goes your way. Watch: Relive what Benedikt Höwedes had to say following Schalke's Matchday 5 defeat to Hoffenheim. bundesliga.com: The question still remains though where the confidence in the sixth game comes from after five straight defeats? Höwedes: That's not how I see it. Or do you think that we played poorly against FC Bayern München? Höwedes: Our worst performances were in Frankfurt on Matchday 1 and in Berlin. Despite that I believe that were produced performances in the opening few weeks that were deserving of winning the odd point here or there. Unfortunately, we let ourselves down with costly individual errors. Ultimately though it makes no sense for us to wallow in the past. We're very pleased that that we've battled through the situation and come out stronger for it. I think it speaks volumes that we kept calm and never strayed off the path we wanted to tread. Nobody lost their heads. bundesliga.com: How did you handle the situation? Were you focussing on your own game or were you able help out your team-mates as captain? Höwedes: In my type of position there's never a time when you can focus solely on yourself and I think I handled this situation in much the same way I would any other. I lead the way and made the effort to push the team in the manner with which I always try to perform on the pitch. Of course you talk to each other in the changing rooms and try to encourage everyone to believe in their own strengths. We never lost sight of the fact we were a team, who could play good football even in light of a run of poor results. I do think that there are too many numbers and statistics in football. bundesliga.com: After the win in Wolfsburg last week you are now one of only nine Schalke players to have ever reached the 100-win mark in the Bundesliga. What does that mean to you, or is it case of there being too many numbers and statistics in football nowadays? Höwedes: I had no clue about that going into the game. Of course you're pleased that you're up there with the most successful players in the club's history, but it's not a number that will change my thought process or that I'd celebrate myself for. I do think that there are too many numbers and statistics in football. There are, without a doubt, important figures that are also of interest for us as players. Overall though, there are some many numbers and tables that exist for this and that, that for me, sometimes it's almost overly positive. Watch: See how Schalke got on in the Keepy-Uppy challenge! bundesliga.com: It goes without question that the Bundesliga has changed in the last 20, 30 years. Have you noticed any fundamental changes in your 10 years as a professional? Höwedes: The game itself has become quicker and more athletically driven in that time, but the behind-the-scene structure has changed immensely. Today we've got 17 years old, who are so talented that they get regular playing time in the Bundesliga. When I became a pro, it was still the case that the youngsters had to get to the back of the line irrespective of whether they produced better or worse performances. At that time the older players had that privilege, that's just how it was. It may have been unfair, but it had a good side to it. As a young player you just had to deal with it, focus on doing everything you could to break through and never let up. A little humility would perhaps do some of the young players good nowadays. Of course we also profit from the talent and tremendous dynamism that our young players bring to the table.